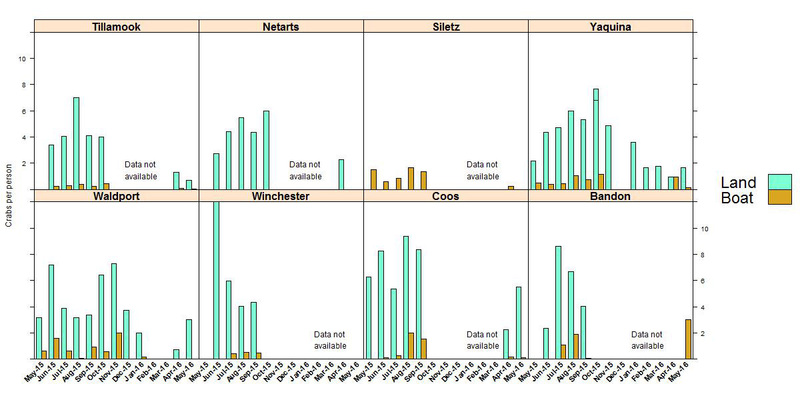 ODFW creel monitoring for recreational crab harvest takes place in Columbia, Tillamook, Netarts, Siletz, Yaquina, Alsea, Winchester, Coos Bay, and Bandon. 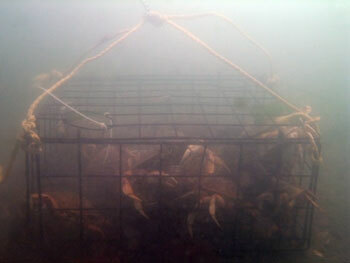 June is a transition month for crabbing in Oregon. 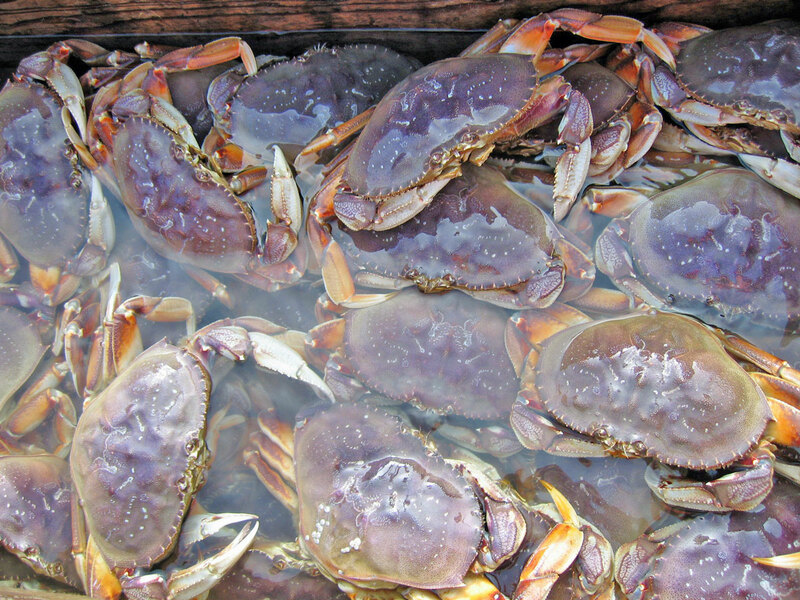 The males have been molting so there are much higher numbers of legal-sized crab available. The downside is that recently-molted male crabs are not as filled out as they will be in late summer and fall. The unit of “Crabs per person" reflects the average number of legal size Dungeness crab caught for each recreational fisher for their crabbing trip, as reported by interview’s conducted by creel surveyors.